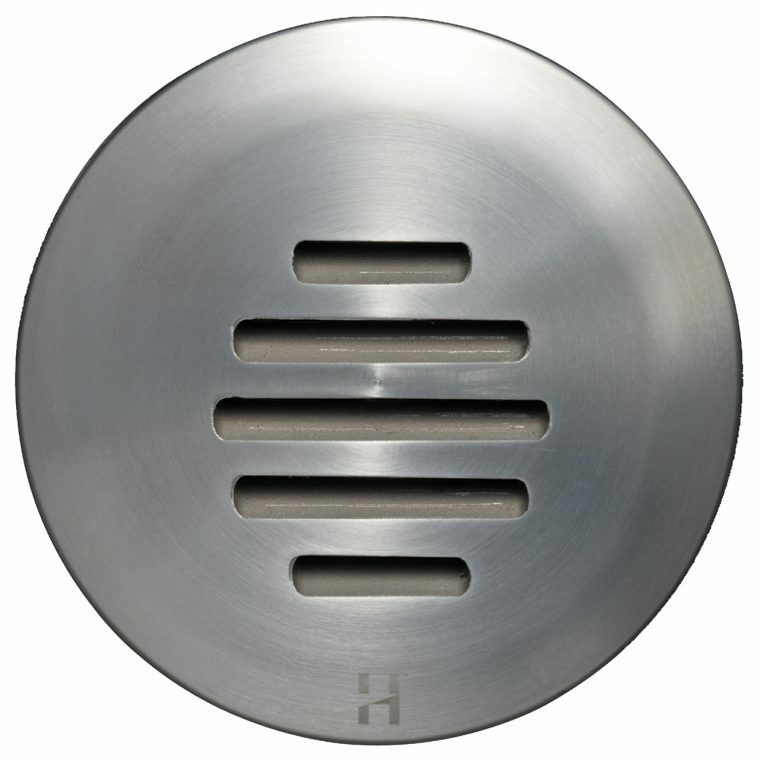 The Step Lite Louvre has a 88mm diameter flange with a thickness of only 3mm giving this Hunza Steplighting product a ‘flush to the surface’ look with no protrusions. The Louvre design shades the face of the lamp, so the Step Lite Louvre is an ideal product for installing into a step-face. Step lighting is an important part of any exterior lighting project for both safety and aesthetic purposes. The body is machined from 9mm and the flange, a 88mm x 88mm square solid copper or 316 stainless steel, it has a tempered glass lens with high temperature silicon gaskets and is supplied with a maximum 20 watt lamp.